The sparkling Shine sandals embellished with glittering crystals along the T-strap underpin Aquazzura creative director Edgardo Osorio’s statement-making silhouettes. Can you see why celebrities love them? The 62-year-old actress and musician earned her star on the Hollywood Walk of Fame during a ceremony in Hollywood. She was joined by husband Tom Hanks, their children Truman and Chet as well as Julia Roberts. Rita Wilson donned a metallic sequinned crepe dress from Givenchy’s Resort 2019 Collection ($7,245 at Selfridges) and showed off her feet in Aquazzura ‘Shine’ crystal-embellished PVC sandals. Lupita Nyong’o flaunted her hot legs at the premiere of Us at the MoMA in New York City. 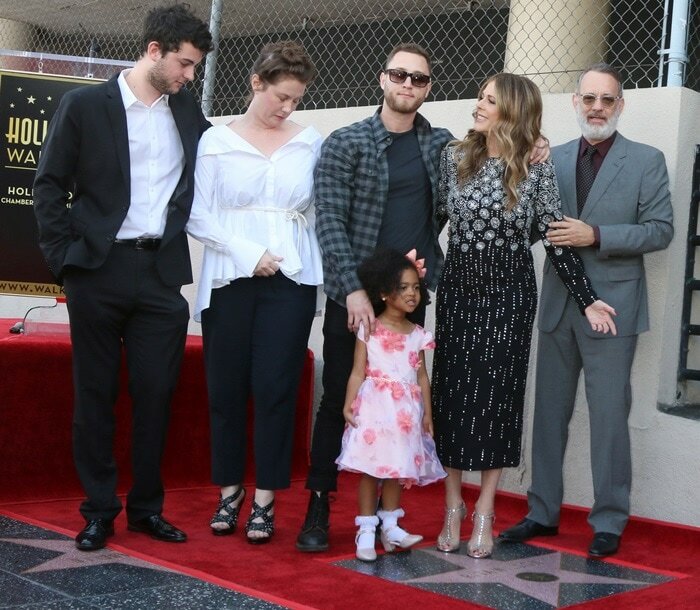 She was joined by director Jordan Peele and co-stars Winston Duke, Tim Heidecker, Yahya Abdul-Mateen II, Shahadi Wright Joseph, Evan Alex, Cali Sheldon, Noelle Sheldon, and Ashley Mckoy. The new American psychological horror film is the follow-up to Jordan‘s Oscar-winning movie Get Out and hits theaters this weekend. It has an incredible 99% on Rotten Tomatoes right now! 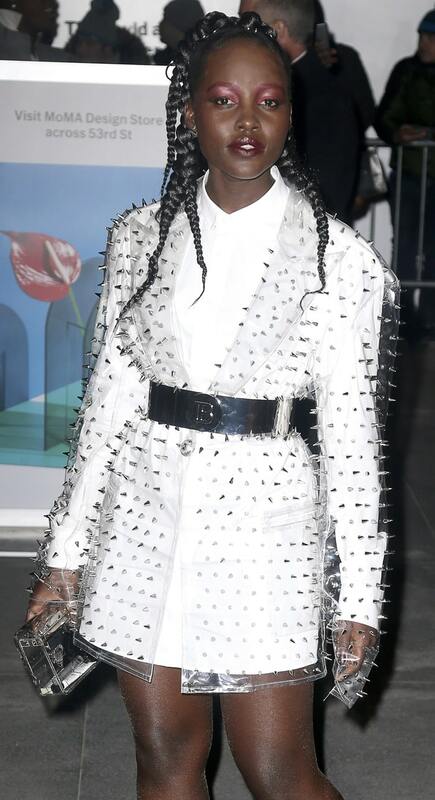 The Kenyan-Mexican actress took a break from color in a white button-down shirt dress from Balmain’s Fall 2019 collection paired with a transparent, studded PVC blazer that was belted at the waist. 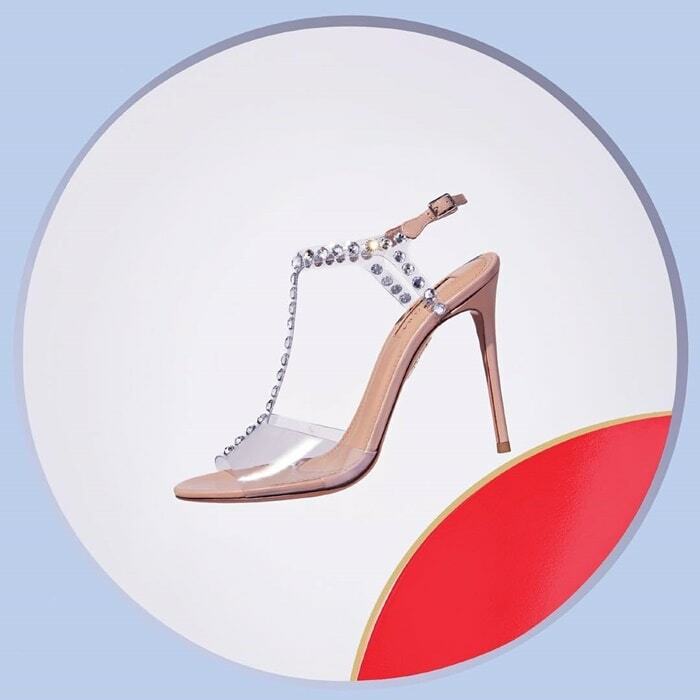 She accessorized with Vita Fede earrings and showed off her pretty toes in Aquazzura metallic leather and transparent PVC sandals from Aquazzura with jeweled studs that you can buy at Bergdorf Goodman and Matches Fashion. Creating the illusion of glistening gems on bare skin, they are expertly made in Italy from metallic leather and detailed with peek-a-boo PVC panels.